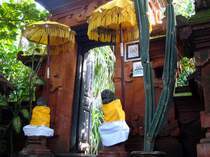 Adventure Divers Bali is based within the grounds of Geria Giri Shanti Bungalows. Staying 'onsite' provides you with the perfect combination for your dive holiday. 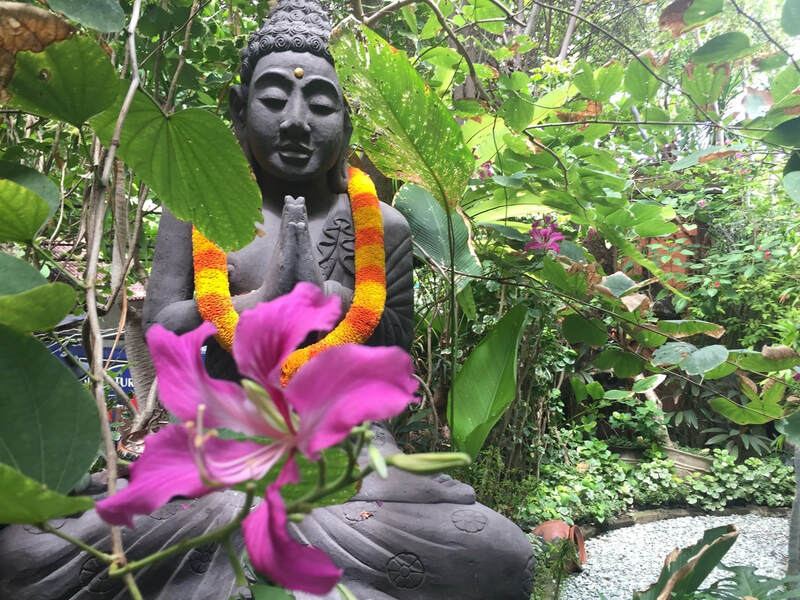 Built in traditional Balinese style, the bungalows are nestled in a secluded shady garden just 2 minutes from the black volcanic sands of the beach. 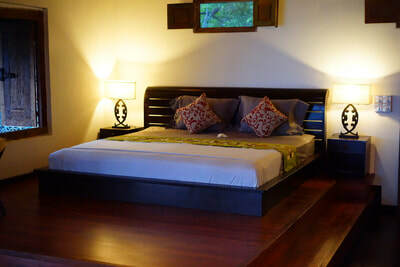 Each bungalow offers plenty of room for two guests with a choice of double or twin beds. Some can also accommodate additional guests by adding extra beds. A full breakfast is included and there is a complimentary wi-fi service available in communal areas. A laundry service is also available. 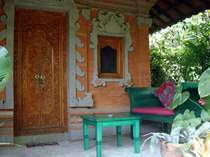 The bungalows higher up the property offer a glimpse of the Bali Sea through the rich foliage of the garden. 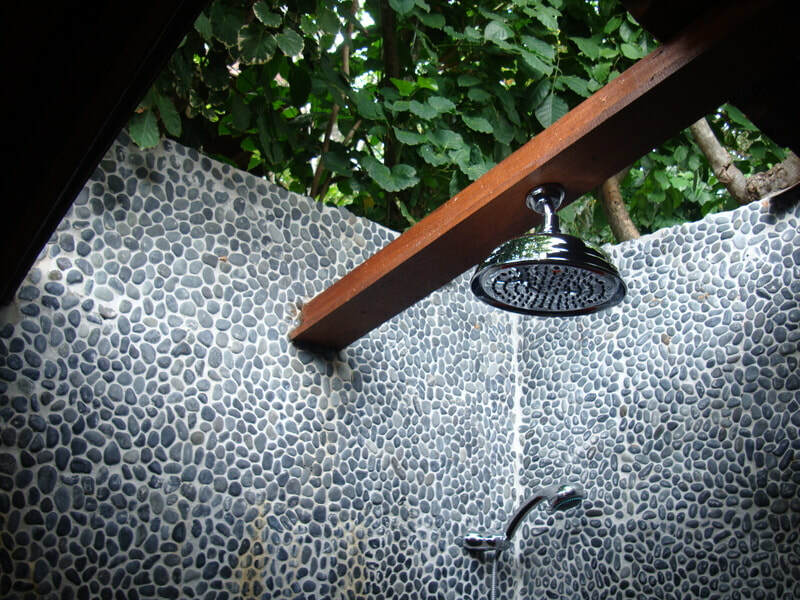 Others allow you to shower outdoors in complete privacy with our purpose built roofless showers. All of the bungalows are AC and fan cooled and have their own terrace and bathroom with hot water rain shower. During your stay your bungalow will be cleaned daily and provided with fresh towels and linen. 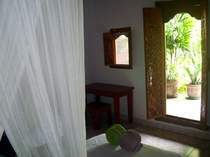 You can find more information about the bungalows and Amed at www.geriagirishanti.com. 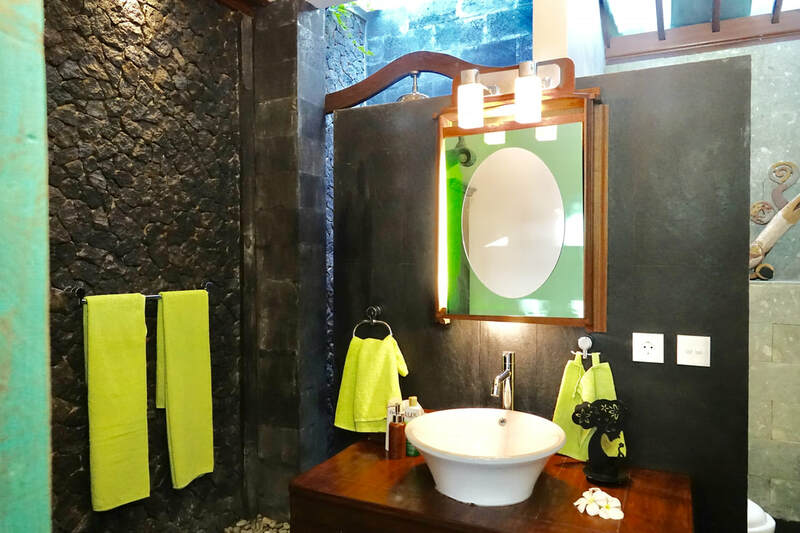 The four fully serviced villas are the perfect place to escape the hustle and bustle and enjoy the peace and tranquillity found on the Amed coast. 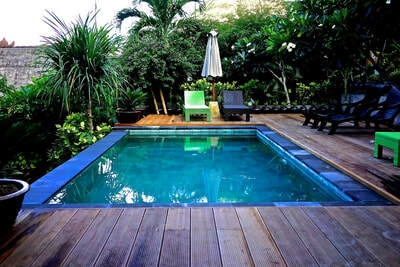 Each villa has their own private swimming pools, are set back from the road and are nestled in a tropical garden. You can enjoy wonderful views of the Bali Sea and you can be on the beach in less than 5 minutes. We have two, three and four bedrooms villas available, extra beds can also be added if required. 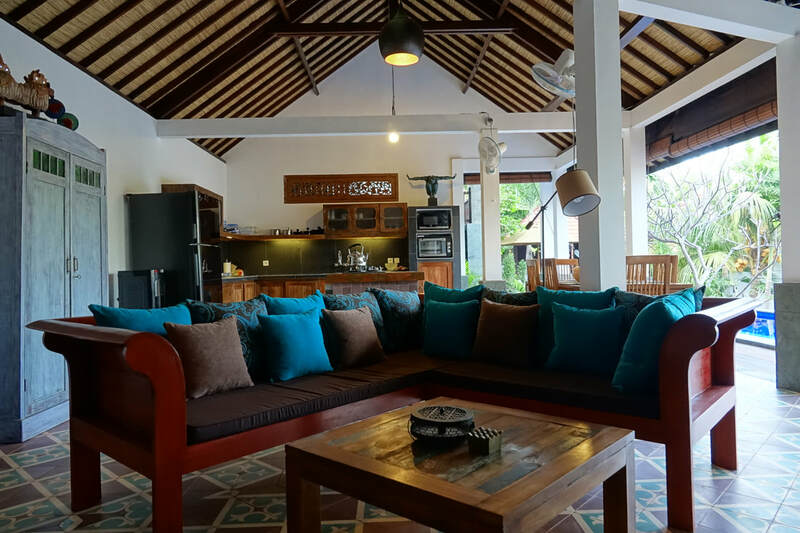 Since the four villas are close to each other they could be combined as one for larger families or groups and provides a great alternative to renting several hotel rooms. 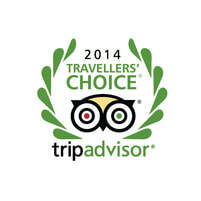 All bedrooms benefit from air-conditioning and have spacious ensuite bathrooms. 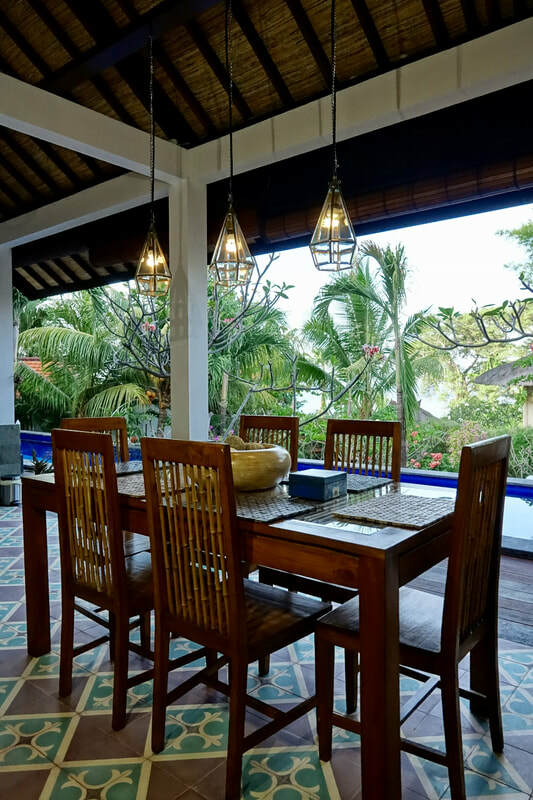 There is also extensive open air living areas and fully equipped kitchens. 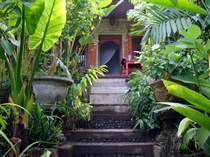 Full breakfast and wi-fi service are included. 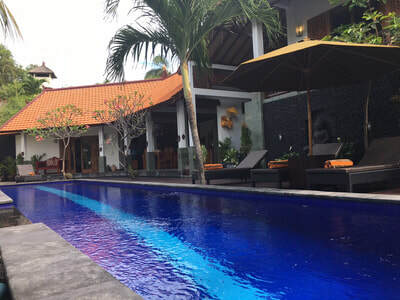 You can find more information about the villas and Amed at www.villabukitmalas.weebly.com.